Chicago, IL (Special to Huntingtonnews.net) -- That's what's been happening in Chicago over the past year to the tune of $161 million spent filming here. a half billion dollars of business revenue and 10,000 jobs into Illinois-- primarily Chicago. The tax credit has also been an incentive for Toronto's Cinespace Studios, owned by entrepreneur Nick Mirkopoulos, to open Chicago Cinespace Film Studios located three miles from us on the former Ryerson Steel property. Not yet complete in its projected 1.2 million sq. ft. of space, Chicago Cinespace Film Studios has already served as the location for filming the TV show, "Boss" with Kelsey Grammer playing the mayor of Chicago, and the regrettably canceled TV show, "Chicago Code." Portions of "Transformer 3" and "A Nightmare On Elm Street" were also filmed at Cinespace. Mirkopoulos said he hopes to acquire the entire Ryerson Inc. site, a 48-acre complex east of Douglas Park. For now, he said he closed on the purchase of his first building in March, paying Ryerson $3.3 million. (Link to Chicago Sun-Times story on the studio http://www.suntimes.com/business/5279214-420/state-to-give-boost-to-west-side-film-studio-working-on-boss.html). Filming in Chicago is nothing new: The Windy City was home to Essanay Studios, founded by George K. Spoor, where Gloria Swanson and Charlie Chaplin starred in silent flicks. 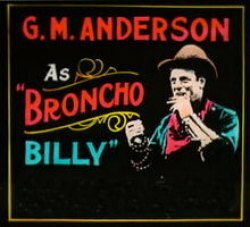 Actor and co-founder of Essanay ("S" for Spoor, "A" for Anderson) Gilbert "Broncho Billy" Anderson created the Western film genre. In fact, Chicago was the largest movie production city in the country before filmmakers headed West for the warmer climes of Hollywood. One of the reasons for the move West was to avoid legal trouble with the trust of major film companies united under the Motion Picture Patents Co., formed by Thomas Edison. Hopefully the new studio and ongoing tax credits will put an end to movies about our city filmed elsewhere, including 2002's "Chicago" filmed in Toronto. Closer to home and just around the corner, a crew for the next Superman movie, "Man of Steel" camped out in the now bankrupt, Lakeshore Athletic Club, providing their own electricity while filming at the AON building. Chicago will be a good stand-in for Metropolis just as it was a great Gotham City for "The Dark Knight's" Batman. fade to black since the show has been canceled after this season. it's director, Simon Curtis, who spoke at the fest's showing. Check out the Film Fest next year and keep a lookout for "Shooting Stars" in our neighborhood. there could be lots of them.